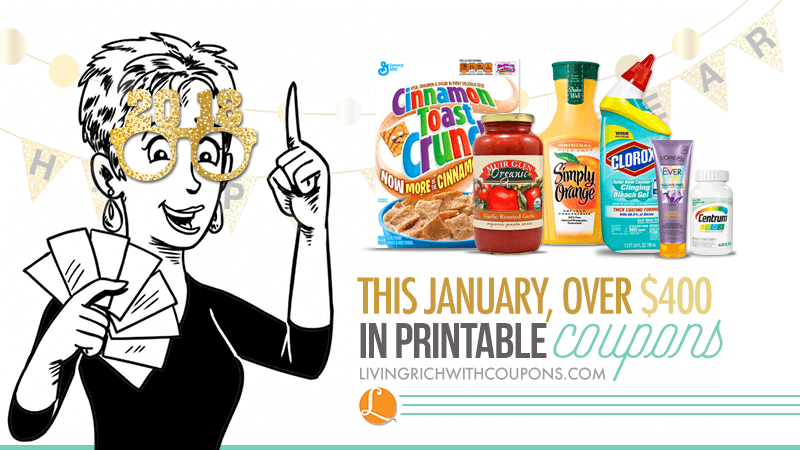 There are over $400 in new Printable Coupons available for January 2018. Below are direct links to each of the coupons. Save $0.75 any one Clorox Disinfecting Bathroom Cleaner, Clorox Bleach Foamer, or Tilex Spray. Save $1.00 on any one (1) Liquid-Plumr product. Save $1.50 on any ONE (1) Clorox ToiletWand starter kit (excludes refills). Save $0.25 on any ONE (1) Clorox Manual Toilet Bowl Cleaner.